Sugar Happy in March at Sterling Ridge Resort! With the temperatures in Vermont in the upper 40’s, the sap has been flowing. Drive around Sterling Ridge Resort Vermont area this March. You will see the smoke coming from the local sugar makers sugar houses. Boiling has begun! So far from our 5ooo taps, on the Sterling Ridge Sugarbush, 20,000 gallons (of our 100,000 goal) have been collected with a sugar content of 2.2%. Amazingly, from sugarbush to sugarbush in Vermont the sugar content can differ – even with bordering properties. The late snow that we have had this winter has also helped with the sugar process. 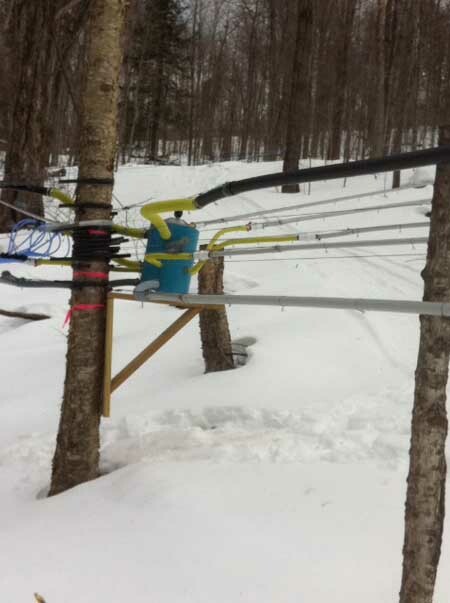 This helps the moisture in the trees which boosts sap flow. 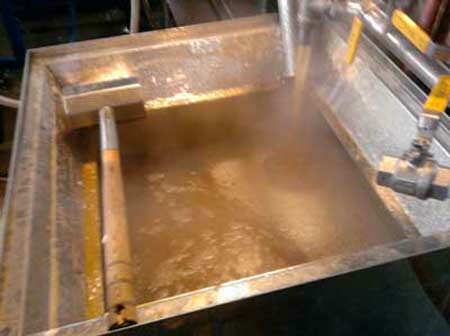 If we are lucky, the “liquid gold” will be flowing until the middle of April! Visit Vermont this March and see Vermont’s March Madness: March “Maple” Madness!